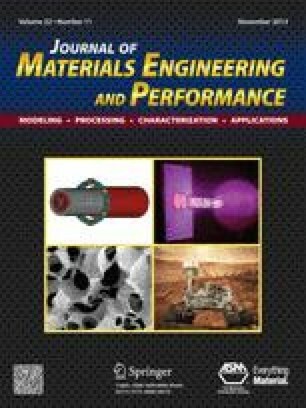 In the present paper, an optimization of thermal barrier coating parameters is performed for diesel engine applications. The substrate is A356.0-T7, a cast aluminum alloy which has a vast application in diesel engines, and the alloy is coated by plasma sprayed ZrO2-8 wt.% Y2O3. Parameters including the feed rate of coating powders, the nozzle distance to specimen surfaces, and the coating thickness are optimized by thermal shock fatigue tests and bending tests. Optimum values of the feed rate and the nozzle distance are 30 g/min and 80 mm, respectively, when the objective is considered as maximizing the bending strength. Thermal shock tests demonstrate that lower thickness of coating layers has a better lifetime. By increasing the coating thickness, the thermal fatigue lifetime decreases. The reason is due to higher order of stresses near the interface of the substrate and the bond coat layer, calculated by a finite element simulation. One suggestion to improve the lifetime is to use multiple layers of coatings. Authors are grateful for the financial support by Irankhodro Powertrain Company (IPCo.) through a grant number of 450008. Authors also thank Mr. Mafi and Mr. Roozban for experiments and Mr. Dahaghin for the coating process.